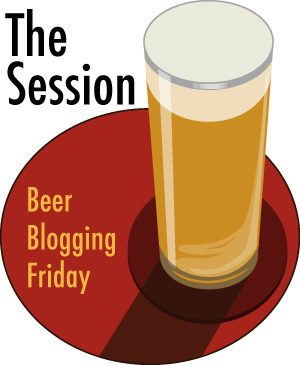 This is my post for The Sessions #76 aka Beer Blog Friday. Basically, a host blog is chosen, they choose a topic, and others blog about it. Get the full lowdown at Beer Is Your Friend, the host for this months session and chooser of its topic – Compulsion. This is the first time I’ve participated, and it definitely won’t be the last. Check out what the other bloggers are writing about by checking the comments section of the Beer Is Your Friend announcement page. Enjoy! Here are the important stats; 42 contributors from around the world, led by Adrian Tierney-Jones, have written about 1001 beers from 632 breweries in 69 different countries. The result is 960 pages covered with words and photos, in a book that’s 5.8cm thick and weighs 1.9kgs. Yep, it’s not easy to travel with, so the list now also exists as a less attractive Excel spreadsheet. 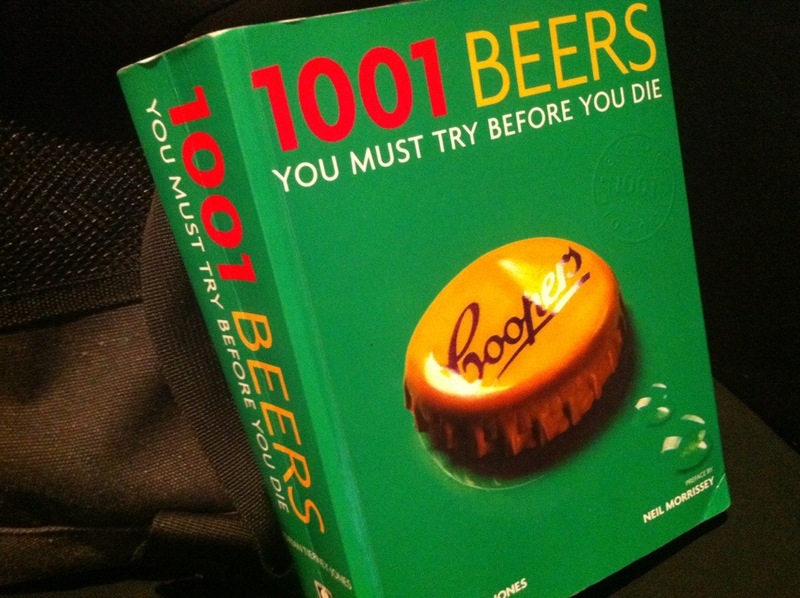 Each of the 1001 beers has had a small paragraph written about it that delves into the history of both the brewery and the beer, and any impact they may have had on the beer world. There are some interesting facts in there; did you know that the Kirin Ichiban brewers claim that it’s the world’s most expensive beer to produce? And that both Madonna and Hugh Grant have publicly stated their love for Timothy Taylor’s Landlord? I didn’t…until I got this book. There’s a small section dedicated to tasting notes for each beer as well, but these are brief, and some read more like evocative sales descriptions rather than actual tasting notes (the words ‘crisp and refreshing’ are used to describe the flavour of more than a few pale lagers). It’s made clear early in the book that these aren’t the ‘1001 BEST beers in the world’, because a list like that would cause no end of arguments. These are simply the ‘1001 Beers you must try before you die’; some are there because of their exquisite taste, some because they helped to shape the history of beer as we know it (like the grandfather of the craft beer movement, Sierra Nevada Pale Ale), and some are there simply because they are iconic in that country (hence Budweiser and Bintang making the cut). Whatever the reason, these are now the 1001 beers I’m hunting for. A few people have mentioned to me that they’d love to do this quest as well, but they don’t want to ‘step on my toes’. Fear not, my toes are pretty tough; while I’ve adopted this quest as my own, I’m more than happy for others to join in. One of my best mates also owns the book, as well as a few work colleagues. This book is available to anyone who wants to find it, and I hope that more people do so that they can have the same beer epiphany that I did. So there you have it, the book that started this compulsive beer attitude of mine. But while it’s definitely the catalyst that kicked everything off, it’s not the reason that my compulsion has grown so strong. The reason that I feel the need to search out new beers, attend beer events and write about all things beery, spending quite a lot of time and energy for no physical rewards (other than the sweet taste of good beer, of course), is a simple one. I strongly believe that good beer deserves more respect and acknowledgement from the general public, and that the general public deserve to know that all of this good beer exists and is easily available to them. I’m compelled to spread that message, one beer at a time.